You are here: Home / books / Buy My Newest Book for $2.99! Working at home while raising kids and juggling a career and family responsibilities is no easy feat, am I right WAHMs? With three adopted kiddos in our house, I’m beyond busy, between parenting, homeschooling, writing, cooking, doing loads of laundry. That’s why I compiled my new book, Balanced—to help all you WAHMs learn to balance your many responsibilities. It’s a short ebook that’ll be a quick read and it’s only $2.99 from Amazon and Barnes & Noble (sorry, only available digitally)! Hey #WAHMs! Have you heard about @TriciaGoyer’s newest #book on sale? In the vulnerable moments between tending a child’s bad dream and slipping into another hour of much-needed sleep myself, the question has haunted me: ‘Is it OK to pursue my passions in the season of motherhood?’ Tricia’s book is the answer. Not only does she give dozens of examples of how pursuing our God-given passions actually enhances our family life, but she also gifts us with practical wisdom gleaned from years of experience in pursuing her passions. 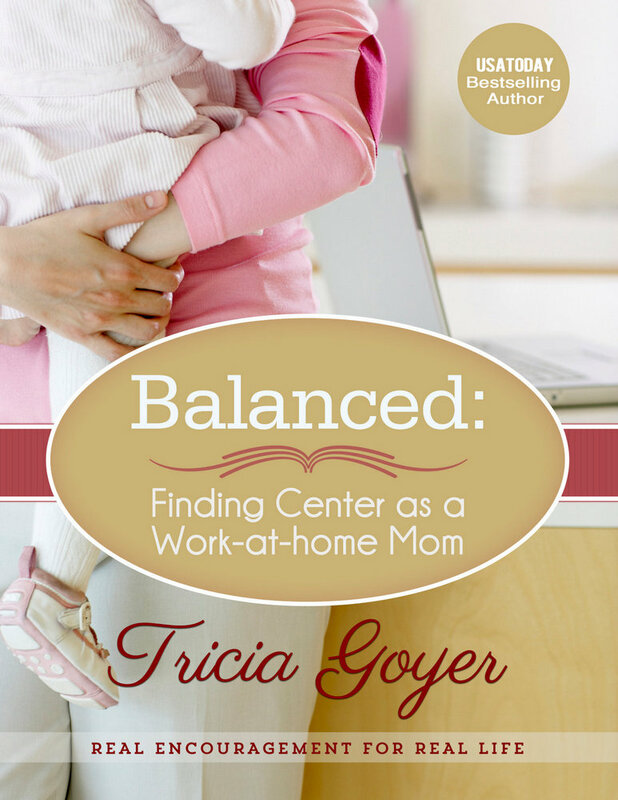 Tricia Goyer’s Balanced was the book I had been yearning for and didn’t even know it. As a work-at-home mom who is currently struggling to juggle both full-time writing and full-time motherhood to two toddlers and a preschooler, Tricia’s message seemed God-ordained for me. This book will bless many, many women by breaking through the guilt and giving work-at-home moms hope that they can fulfill both their professional callings and role of homemaker and mom. Did you hear the good news? My new book Balanced is available now via Amazon and Barnes & Noble for only $2.99 (digital only)! A Christmas Gift for Rose is only $2.99 (digital), now through January 6! Get the ebook HERE! AND The Memory Jar is only $1.99 (digital), now through January 5! Get the ebook HERE! I am wondering if it is possible for me to buy a copy as a PDF? I don’t have a Kindle or a Nook, if I purchase will I be able to read on my normal computer? Sorry, I’m a little behind the times with technology these days lo!